On Friday, a temporary funding measure was passed to reopen the federal government. The move marks the first step in getting our public lands up and running at full capacity, but recreationists should take heed that there’s still a long way to go. The shutdown left our land managers hamstrung for 35 days. Public lands, like our iconic national parks, lacked the staff and budget to clean up trash, maintain trails, manage permits, and plough roads. Some destinations were closed entirely. Agency staff will need time to get our public lands ready for basic visitation again. As recreationists, we need to be patient with our land managers during this trying time. Below you’ll find a few things to keep in mind as we work through the effects of the shutdown. We’ll continue to update this list as we get more information. As many of you know, the shutdown closed the road to Mount Rainier’s Paradise area. Before the road can be reopened, staff will need to do avalanche work and plow a huge backlog of snow. Don’t expect a quick fix. Ski area staff will need to decide if it’s realistic to open Hurricane Ridge this season. You can learn more about the area’s closure in this Seattle Times piece. We’re relieved the shutdown’s over. The past month has shown us how important it is to support our public lands. Let’s make sure to champion long-term funding efforts in the future. The Washington Post also published a great piece on the challenges facing Mt. 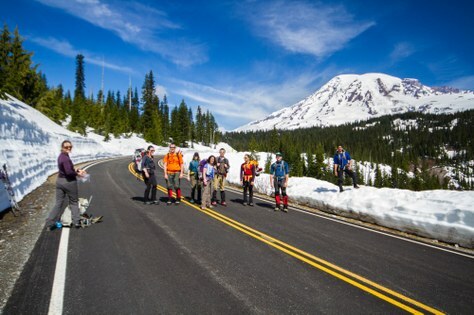 Rainier National Park and the work park staff are going to get ready for winter visitation.